In his twenty-fifth pro bout, Tyson Fury shocked the boxing world when he beat champion Wladimir Klitschko, who hadn’t lost in ten years, to win the lineal heavyweight title. No, it wasn’t the shock Cassius Clay, later known as Muhammad Ali, delivered in 1964 when he upset Sonny Liston in his twentieth bout to win the same title; but, just as Liston was viewed going into that fight, Klitschko was viewed too as the alpha fighter in the division when he met Fury. After beating Liston, Ali made nine successful title defenses and was then exiled from boxing for refusing to go to the Vietnam War. Fury’s post-title path veered from Ali’s, but it has now come almost full circle to match it. In Fury’s case, he lost a temporary battle with food, alcohol, and drug abuse. Like Ali, Fury had a long period of inactivity—thirty-one months, to be exact—but not the forty-three months Ali was inactive. After not fighting in all of 2016 and 2017, Fury, after shedding nearly one hundred pounds, returned to the ring in June of 2018 and stopped a nonentity in Sefer Seferi. The fight with Seferi didn’t answer any questions about Fury other than to confirm he was back. Last weekend Fury, 27-0 (19), fought his second comeback bout against southpaw Francesco Pianeta, 35-5-1 (21), who was stopped by Wladimir Klitschko in his only title shot. Pianeta was the ideal opponent because he’s not an effective-aggressor or a big puncher. But he applied just enough pressure and let his hands go enough so that Fury needed to remain alert throughout the ten-round distance—but nothing more. Fury was able to get in ten solid rounds of moving, switching to southpaw, and even fighting as the aggressor and hurting Pianeta to the body while pinning him against the ropes. By the fourth round, Fury seemed to hit stride and probably could’ve scored the stoppage if he pushed himself to do so; but he said afterward that he wanted to get in some rounds. 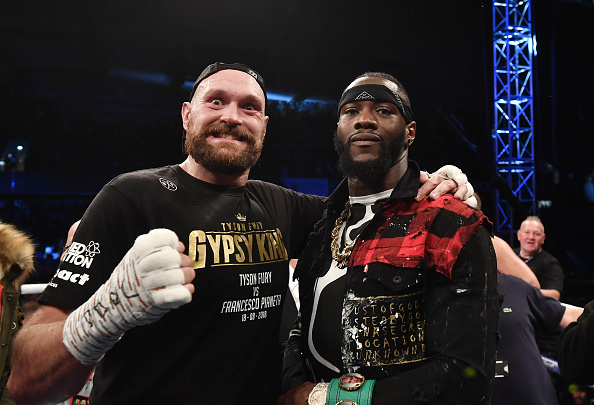 The shutout decision in favor of Fury was anticlimactic and, as expected, WBC champ Deontay Wilder, who sat ringside watching the fight, entered the ring to announce he and Fury will meet later this year (while giving the viewers a little WWE shouting and high jinks). At the time Fury left boxing, Anthony Joshua and Deontay Wilder hadn’t yet emerged as the premier heavyweight beltholders they’re considered today. And Fury now has two big obstacles to clear—much like Ali did when he came back and had to go through Joe Frazier and George Foreman to reclaim his title. With a win over Wilder, Fury will be in great position after facing Deontay for big money, while at the same time stymieing two lucrative bouts for A.J. against himself and Wilder. And that’s mainly because Fury, in the middle of a perfect storm, played his cards perfectly after Joshua and Wilder couldn’t agree on a purse-split. Fury, sensing shrewdly that he’d have equal leverage because he’s the lineal champ and didn’t lose his title in the ring, set his sights on Deontay. And with Wilder now on board, the winner of their fight will go into negotiations with Joshua on equal footing at the least. For Wilder, thirty-one, beating Fury would be a coup because he could claim that he is the lineal champ and Joshua is merely a beltholder—something Joshua and promoter Eddie Hearn would have a difficult time trying to diminish and fend off. And perhaps the biggest thing going for Wilder now is that he’d be facing Fury early in his comeback before he can recapture the form he held when he faced Klitschko in late 2014. Concerning Fury, twenty-nine, he, like Wilder, would’ve been at Joshua’s mercy in a negotiation and the only remedy for that would be to defeat Wilder. In Fury’s case, he could claim that beating Klitschko for the title, when Wladimir was riding his unbeaten streak, and then coming back to beat Wilder in his third comeback bout, trumps anything Joshua has accomplished (and a fight between them would, therefore, be an easy sell to the public). From an in-the-ring viewpoint, Tyson Fury, even not at his best, matches up well with Deontay Wilder. We’ve seen his wit hasn’t diminished, and maybe he can bring his body up to match it. Although he’s not the most esthetically-pleasing fighter to watch, Fury is formidable and difficult to fight and look good against. His six-foot-nine-inch height combined with his eighty-five-inch reach as well as his speed and movement make him extremely hard to attack. 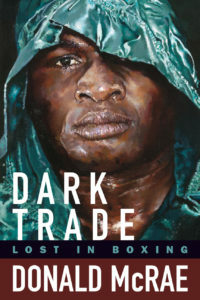 Granted, Wilder’s inflated image of being the biggest life-taker in boxing makes him dangerous, but his technique and delivery system are flawed. Fury constantly changes his range and the speed of his punches and he, better than any fighter in the game, is great at causing his opponents to unravel emotionally before they’ve laced up their gloves on fight night, and then unravel stylistically once the fight starts. This is something Wilder hasn’t been exposed to yet. Fury is also terrific at assessing his opponent’s strengths and weaknesses and knowing his own limitations as well. He’s no doubt seen Wilder out-jabbed by Gerald Washington and Luis Ortiz. 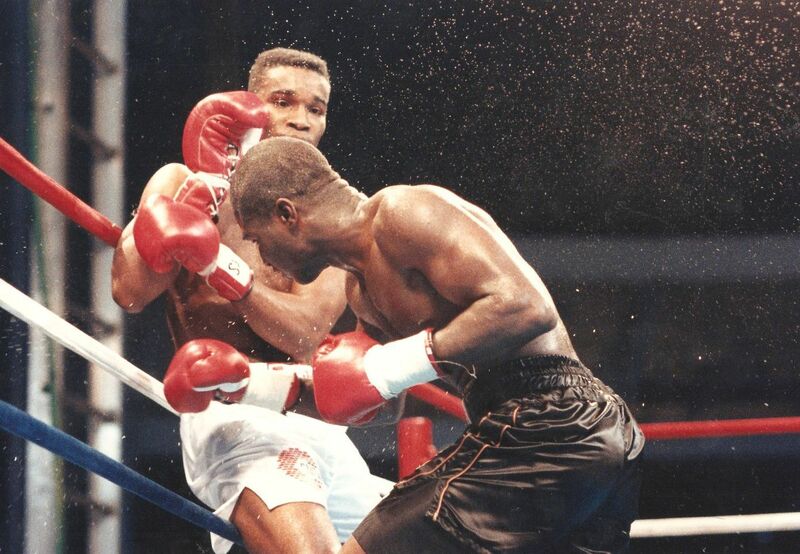 And seen him hurt and on the verge of being stopped by Ortiz. And seen him in against one of the more unconventional and awkward opponents he has faced, Artur Szpilka, who befuddled Wilder with his foot movement and ability to slip punches and made Wilder look amateurish—and Fury is profoundly more capable doing those things than Szpilka. When most assess Wilder, they focus on his power and willingness to let his hands go, especially when the outcome of the bout is on the line. What’s often omitted is how his fight-altering power resides only in his right hand. The reality of Wilder’s power is that he doesn’t possess short- or inside-power; rather, he needs to rev up his right hand from way outside to generate concussive power (and some club fighters have gone deep into the fight against him because of it). Also, Deontay isn’t a very good inside fighter and must be at mid-range to get everything on his right hand—and even then, the sun, moon, and stars need to align for it to land with missile-like explosiveness. Few opponents aside from Luis Ortiz have been able to take advantage of Wilder’s technical shortcomings, but Fury is different. Tyson’s movement and ability to get Wilder to pursue him will force Deontay to remain busy with no lapses or periods to recalculate his attack. And Wilder has never shown the capacity to do that. Wilder’s strategy is simple: his belief that it’s just a matter of time before he’ll bring the right-hand home. 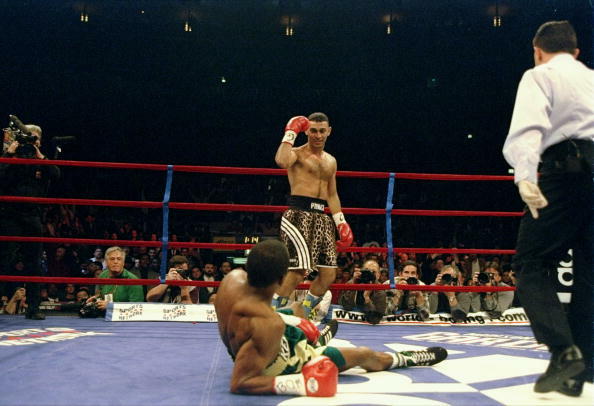 The problem with that is, Fury is too well rounded to be undone by a fighter with only one weapon, much the same way Razor Ruddock couldn’t catch Mike Tyson once in two fights. Fury can fight at a distance where Wilder is least effective—and that’s either in close on the inside, or way outside where he’s forced to reach. Tyson is fully aware Wilder isn’t a great puncher when he lunges out of desperation to land the right hand, or when he’s crowded by his opponent or lured into crowding them himself. And you can count on Fury forcing Wilder into a fight that brings out these weaknesses. Reminiscent of Muhammad Ali’s third comeback bout when “Smokin’” Joe Frazier was peaking at the perfect time, Fury is facing Wilder in his third bout after a layoff at the same time Wilder is peaking. The difference is that, in Ali’s case, Frazier held the stylistic edge and had perfected an attack Muhammad had never faced before the “Fight of The Century.” On the other hand, Fury holds the stylistic advantage over Wilder, and it’ll be Deontay who’ll be asked to answer questions and solve problems he hasn’t encountered before. The advantage Wilder has is that he won’t be fighting a Tyson Fury at his absolute best, which levels things. With Anthony Joshua representing the biggest payoff for both, it’s easy to see why Deontay and Tyson have agreed to face each other now. Although Fury would like to fight once or twice more before he faces Wilder, he can’t risk Wilder fighting Joshua first or losing before he faces him. It’s a calculated risk he’s willing to take, then, and he believes betting on himself gives him complete control. And rounding out the perfect storm from Wilder’s perspective, he needs to beat Fury to level the purse-split for a potential super-bout against Joshua—and fighting Fury before he regains his best form is the wisest time to do it.